A legendary real-time strategy game series is returning in a format you probably weren’t expecting. 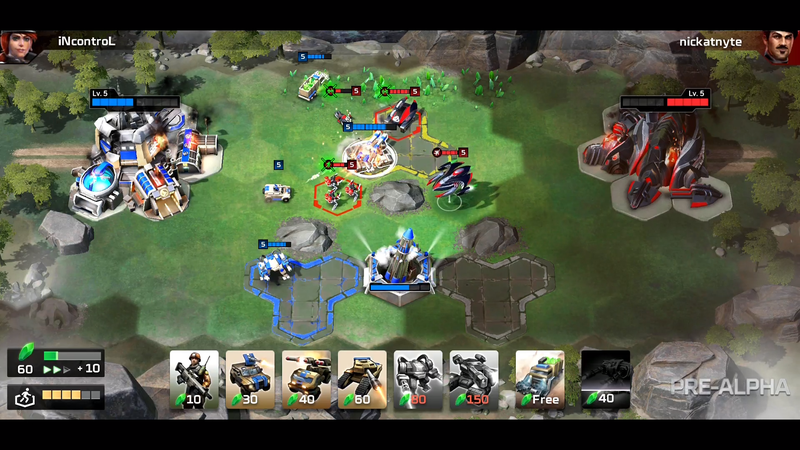 Shown today during the E3-adjacent EA Play press conference, Command & Conquer: Rivals is a strategy game for mobile devices that boasts “quick, competitive” matches. It looks a lot like Clash Royale or Clash of Clans, but in the C&C universe, complete with GDI and the Brotherhood of Nod. Two esportsers, Geoff “InControl” Robinson and NickAtNyte took the stage to show what some gameplay looked like, complete with shoutcasters. Afterwards, the team showed off a trailer with plenty of units running at each other and, surprise, it’s Kane. This is the first Command & Conquer game since 2012's Tiberium Alliances, a free-to-play online-only browser game. There was a Generals 2 in development at one point, as a free-to-play PC game, but it was cancelled after feedback from its alpha trial. Android users can pre-register to play an early access version of Rivals on the Google Play Store right now. Meanwhile, I’m going to go find that monkey’s paw I wished on.